According to Hubspot, 48% of marketers build a new landing page for each marketing campaign. As marketers, we all have faced the pain of coordinating between designers and IT teams and then having to do multiple iterations to optimize the pages for mobile. We built the Sunny landing page generator to help ease that pain. Here’s some details on the considerations behind our mobile-first page builder. In several countries and product categories, mobile traffic has overtaken desktop based traffic. 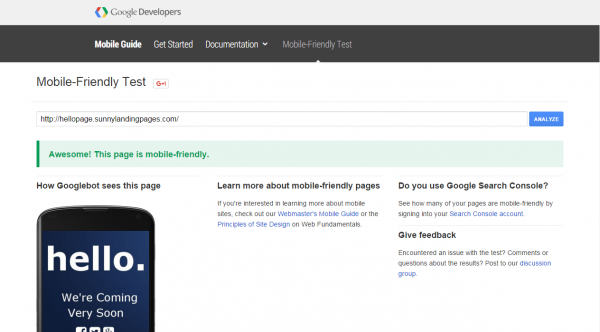 For your marketing campaigns on google, facebook, email etc, you absolutely have to have a mobile friendly page otherwise, you’re wasting your money. If you have significant traffic from desktop you can aim to build mobile responsive pages, but if your majority traffic and target audience is coming from mobile channels, then it is important to have mobile-first designed landing pages. According to Hubspot, 16% of landing pages are free from navigation bars. This will increase with mobile first design principles. Avoid horizontal scrolling at any cost. It should only have vertical scrolling if at all. Here is an example of a mobile-first design for a ‘coming soon’ Landing Page without any navigation which we have generated using the SLP builder. According to Neil Patel, people make impressions in under less than a second. Less is more. Nobody reads long text – especially on mobile. Keep your messages crisp and brief. Short copy wins over long copy. Build in trust elements in your landing page. Once you have piqued someone’s interest with a catchy headline, you will drive home a conversion only if the visitor trusts you. Use images and social channels to build that trust. Make it easy for small screens and big fingers! Tiny buttons and form fields make it extremely difficult for people to interact with your page. 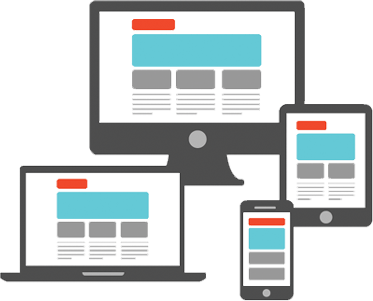 The sheer number of device types, operating systems, screen resolutions and browsers in the market make web development and landing page development a huge challenge. Bootstrap also provides a range of visual elements which reduces your dependence on a web designer. You can choose from a range of button types, drop downs, navbars, form labels, media objects etc. to make a neat and clean interface while on the go. Our unique grid based drag and drop interface ensures each element is automatically snapped to a bootstrap framework grid. This helps the various devices and browsers to easily adapt the content to a form fitting layout. Each page is mobile friendly by default and we use Google Developer tools to test out the mobile-friendliness of our templates. 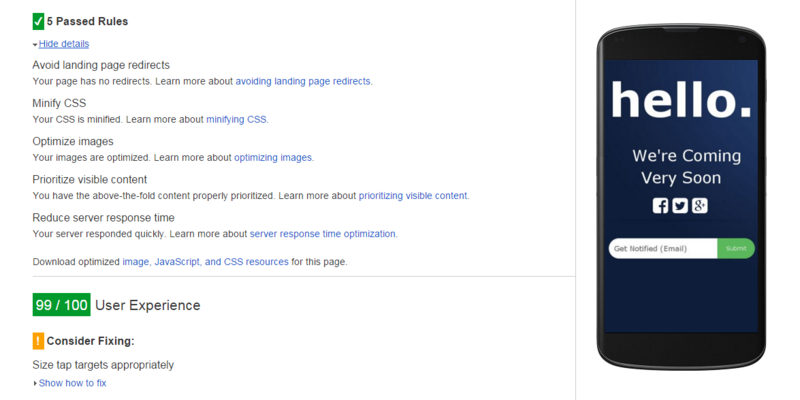 Another important aspect to test for is the page loading speed. Mobile-first pages need to be light weight and quick to load otherwise you will lose visitors before the page opens. Compressing resources as this helps to reduce the number of bytes sent over the network. We use tools such as gzip and deflate to help in the compression. Similarly, high definition images will make the page heavier and reduce landing page loading speed. Given the mobile screens are small you can afford to compress the image to a lower resolution. We host our platform on a leading cloud hosting provider which ensures high availability, high performance, high security and high scalability. In summary, SLP is a free landing page generator which provides awesome mobile-friendly, mobile responsive and mobile-first landing pages. The plans allow you to build and publish up to 3 pages for free. So go ahead and try out our mobile landing page generator and publish your mobile landing pages. 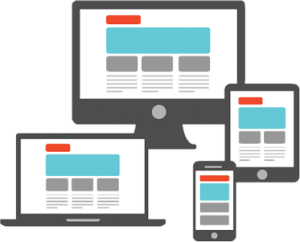 Choose from our mobile landing page templates and you could go live in just a few minutes! Get the best tips, tricks and actionable advice on lead science delivered straight to your inbox. Only 3% of small businesses get exponential returns on their digital marketing. Learn their Secrets to Success. Enter your details to get this cheat sheet to writing powerful headlines! Stop Scanning and Read it For God's Sake! Don't have time right now?